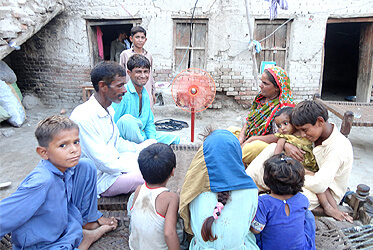 Ali Hasan Mangi Trust – Facilitating impoverished families to improve their lives. Our mission is to help uplift the lives of people in impoverished village communities in the Sindh Province, Pakistan through integrated rural development. 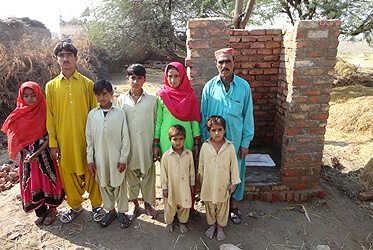 We started with Village Khairo Dero in District Larkana in 2008, aiming to create a model community where families have access to basic facilities such as water, cooking gas, shelter, toilets, built-up kitchens, electricity and small loans to improve income as well as community infrastructure such as a sewerage system, schools, free clinics, a public library, a playground and skills training. A decade later, we have expanded to 25 villages in the surrounding area. Our model is based on the combined efforts of donors, our team and the communities themselves. A toilet changes the way a family lives. For just $55, you can give a family a toilet at home. We seek to build 100 toilets. A built-up kitchen is a great convenience for women cooking out in the open. 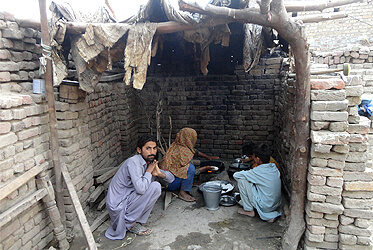 For $110 you can give a family the gift of a kitchen. We’re raising funds to build 100 kitchens. A fan is a blessing when summer temperatures are so extreme. For $135 a family gets two fans, two lights and a solar panel. We’re planning to provide solar kits to 100 families.